This comprehensive Multiplication study guide. It includes visual models and definitions. This document is color coded based on factor, factor and product. There are multiple strategies given. This document will also be available in Spanish and French as well in another bundle with other topics. This would be a great product for students and parents alike to use for test prep study. 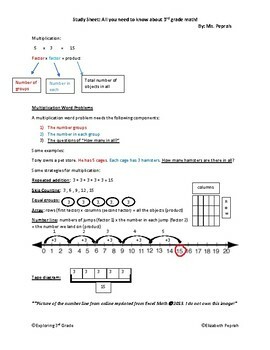 It could also be used throughout the year to understand multiplication. 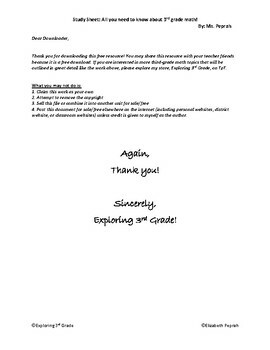 This could also be used as a refresher for 4th grade and 5th grade students.